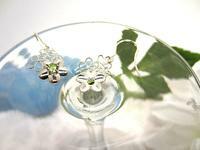 These sterling silver flower earrings are light and lacy. 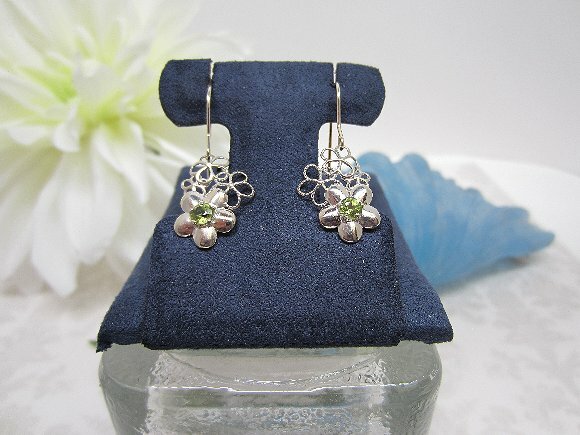 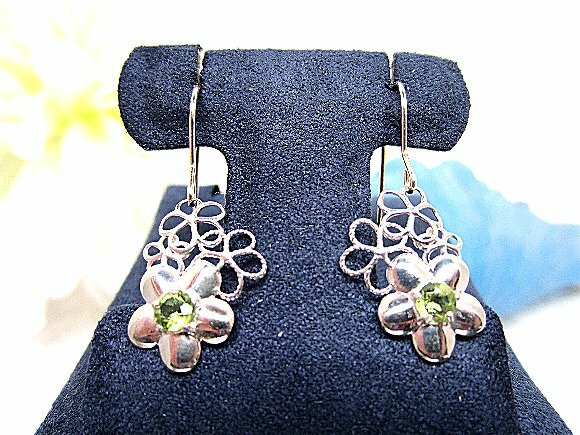 Set with 4mm faceted peridot stones, they're ultra-feminine, too. They dangle just a HAIR longer than 1-1/2" from the tops of their sterling silver French hooks. 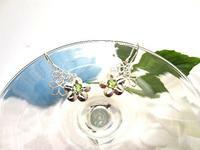 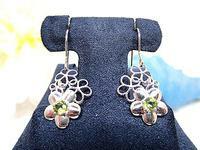 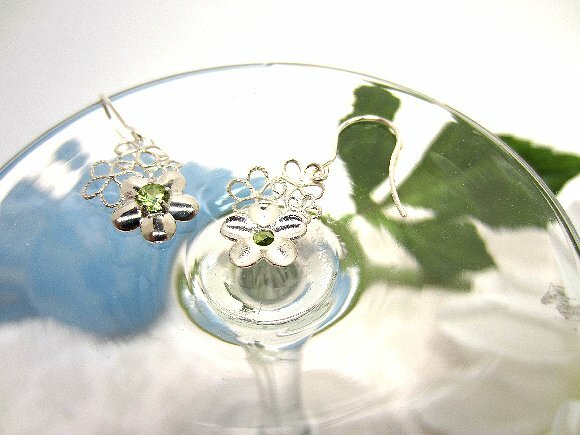 These flower earrings are a great gift idea for the lady born in August, or for the girlie-girl in your life.